Anthony Hauer Named to IAMPE Board of Directors – Inland Rivers, Ports & Terminals, INC. The International Association of Maritime and Port Executives (IAMPE) is pleased to announce that Anthony B. Hauer has been elected to the Board of Directors of the Association. Anthony currently serves as Port Director of Natchez Adams County Port Commission, which he joined in 1984. He is also a businessman and the Owner/Operator of Hauer Farm Services. He was formerly employed by Wilkinson County as Chancery Clerk from 1981-1983. His professional memberships include the Board of Directors for Mississippi Water Resources Association, where he serves as President of the Association and Chairman of the Board. He was also the President for 2016-2018 of the Inland Rivers, Ports and Terminals Association and currently serves as Chairman of the Board. 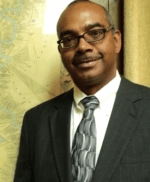 He is President of the Mississippi Port Council, a member of the Board of Directors for the Mississippi Intermodal Council and on the project selection committee for Mississippi Department of Transportation, Port Multi-Modal Capital Improvement Program. He is also the Secretary/Treasurer for the Center for Logistics, Trade and Transportation (CLTT) at the University of Southern Mississippi. He holds professional certifications as an Accredited Marine Port Executive (AMPE) and Inland Maritime Port Executive through the IAMPE. He also holds a BS in Theology from Kingdom Theological Seminary, is a graduate of Copiah Lincoln Community College with an Associate’s Degree in Business, and was a pre-law major.